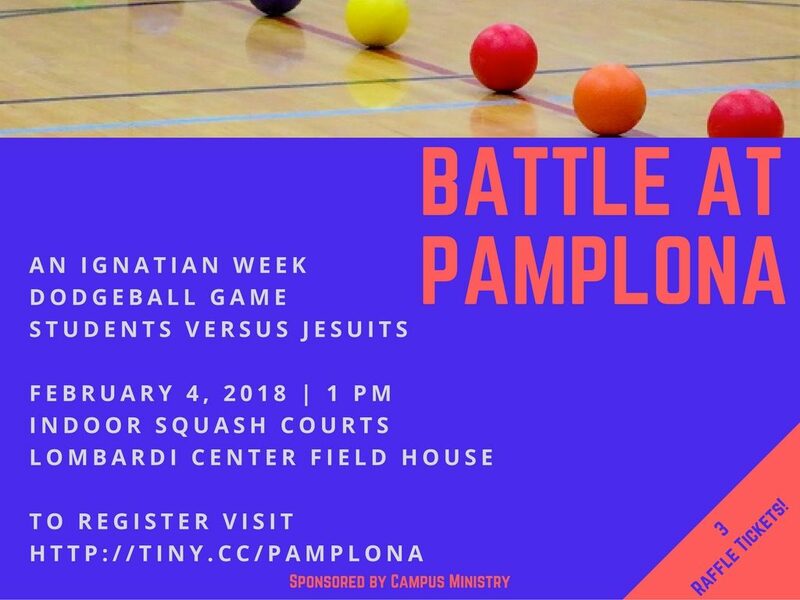 Battle at Pamplona Dodgeball Game: Students vs. Jesuits! 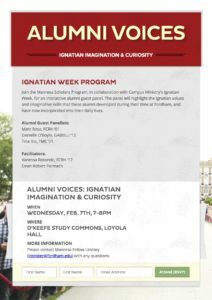 When St. Ignatius was in the Battle at Pamplona he took a canon ball to the leg, which started his journey to faith and ultimately led to the development of Ignatian spirituality and the founding of the Jesuits. Now it is your turn to participate in the Battle of Pamplona where you will compete against Jesuits to avoid taking a dodgeball hit, but if you do, who knows what path it will lead you down?…. 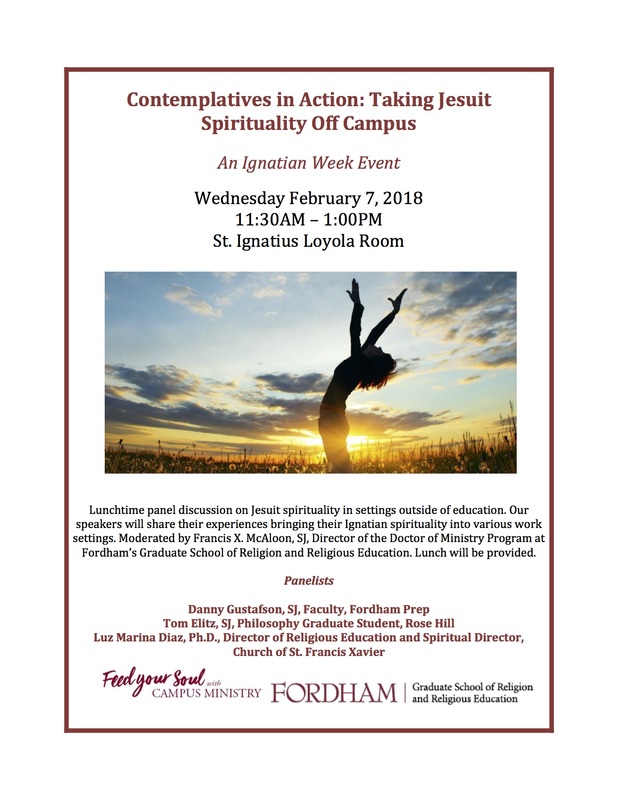 Participants will earn 3 raffle tickets toward a chance to win an Amazon Echo, AmEx gift card, Fordham swag, and other great prizes! Register for Dodgeball as an individual or a team here!